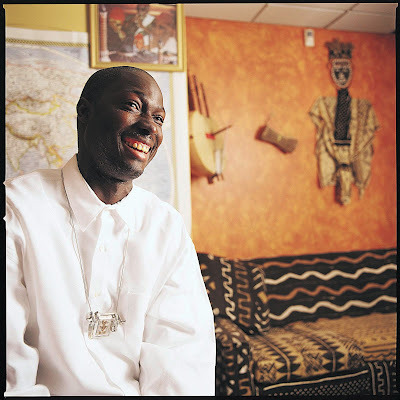 Jacques Sarr is alive and well — and bringing Afrikando back to Seattle! Isn’t that a gorgeous photo of Jacques? It was taken nearly a decade ago for my Pacific Northwest Dining Guide piece “Secret Loves of a Restaurant Critic” — in which I expounded upon my longstanding love affair with small ethnic dining spots (a subject I haven’t stopped talking about since). In it, I gave props to Jacques for his peanuty mafe, fiery thiebu djen and oniony yassa au poulet, and you can rest assured I’ll be heading to Hillman City to eat those house specialties again, and soon. While I’m in the neighborhood, I’d like to get my hands on some whole roast pig at Tropical Hut, check out the pork chop inihaw at Kawali Grill and stop into the West African market near Afrikando for some hot guinea fowl. Are there other places in the neighborhood you think I shouldn’t miss?